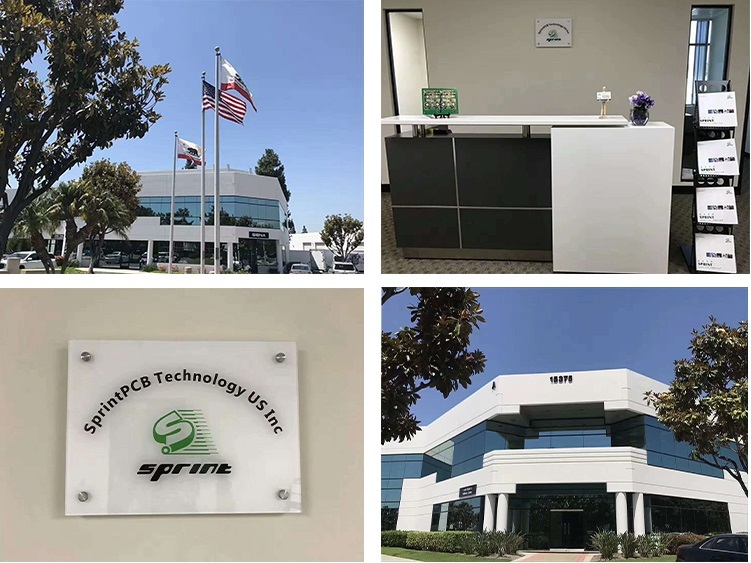 profesional PCB manufacture service-Congratulations to our US branch Established in California in July 2018! of Sprint Circuits, which is composed of senior PCB and PCBA professional to form a business development and service team. quality as the goal and purpose of Sprint Circuits.with the higher reputation ,in process capability, production efficiency and quality. We adhere to the "first-class technology, first-class products, first-class service, first-class management" concept. First-class management, solve the worries for customer;with dreams, enthusiasm, plans, and actions. Guide us to provide our customers with the best products and services, improve customer satisfaction, and grow with customers. From then on, we can maximize the one-stop convenience and service advantages of our company from technical communication, product development, production, delivery, etc., to provide the most powerful guarantee for your products development.